We are a cooperative preschool for three and four-year-old children located in Northeast Portland at Hancock & 16th Ave. We utilize facilities inside the Westminster Presbyterian Church, where we have four classrooms for the kids to explore, banks of windows that fill the rooms with light, and a beautiful enclosed courtyard where the children can safely express their exuberance. Our secure building is handicap accessible. We have two classes: the three-year-old “Red Class” meets Tuesdays and Thursdays, and the four-year-old “Blue Class” meets Mondays, Wednesdays, and Fridays. Both classes are held from 9:30 AM to noon. There are 18 students in each class. After-school Spanish and yoga classes are also available. Since 1984, Hancock Street Preschool (HSP) has been inspiring the wonder and joy of life-long learning for children and adults. We believe that children are curious, competent individuals. We understand that children are capable of constructing knowledge through play and meaningful real-world experiences. We believe in the importance of relationships and community, and we value the uniqueness of each child and family. At HSP, the teacher and families work together to create an environment that facilitates play for deeper interaction and inquiry. We encourage young children’s play by valuing their eagerness to learn, by providing them with space and time, by paying attention to their spontaneous interests, by presenting new inquiries and exploration activities, and by offering support as they problem solve. Children are compelled to connect with one another and are genuinely fascinated with one another’s words, ideas and actions. We encourage and respect those social connections and the resulting growth in social skills. Sandy Hodge is the Educational Director of Hancock Street Preschool and the Teacher of the Blue Class (four-year-olds). She has been with Hancock Street Preschool since 2003. Sandy Hodge is a credentialed teacher who has worked for 25 years in early childhood education. Teacher Sandy received her BA from the University of Virginia and her Teaching Certification from San Francisco State University. In 2011, she completed the coursework to become a Positive Discipline Parenting Educator. She embraces her role as a curious life-long learner and continues to take classes through PCPO (Parent Child Preschools Organization) and OAEYC (Oregon Association for the Education of Young Children). Sandy also states that she learns daily from the children and parents that she partners with in the classroom. Sandy Hodge's classroom experience includes preschool, kindergarten, and first grade. She has worked in a variety of settings including a Head Start classroom, a program for children with special needs, and classrooms in both public and private schools. Sandy's appreciation for the value of co-ops began as a parent when her two daughters attended a local co-op preschool. She loves the sense of community that is fostered for both children and adults in the co-op setting, and she feels fortunate to spend her days with children who allow her to be part of their natural enthusiasm for wondering, exploring, and creating. Teacher Sandy lives in SE Portland with her husband. She has two adult children who attend Portland State University and the University of Oregon. The Hodge family enjoys gardening, reading, board games, biking, and exploring the Pacific Northwest. Becky Brink is a native Portlander and has been teaching Early Childhood Education in the region for over 18 years. She gained extensive experience teaching in Preschool, Pre-K, and Private Kindergarten classrooms, until she became enchanted with a play-based, parent co-op teaching model in 2004 and realized she'd found her true calling. Two of her own children attended a local child-directed co-op program, and she can't think of a better way to introduce young children to a love of learning! Believing the best way to teach an appreciation for lifelong education is to model it, Becky has continued honing her formal education throughout her career, seeking out intensive trainings through OAEYC and other private training programs, (including specialized programs to adapt school settings for inclusion of children with special needs, and trainings which enthusiastically promote early literacy in the classroom and home environments.) Becky's favorite part of every school day is leading the classroom Circle Time, reading myriads of books aloud to the students and encouraging their own beautiful imaginations to take root. Becky lives in SE Portland with her husband and four daughters. She is a devoted foster/adoptive parent and civilian advocate for vulnerable children in the foster care system, and also volunteers as a youth/teen mentor for her local church. Becky can usually be found behind a camera lens, taking endless photos to document warm memories with family, creating messy art projects with her daughters, being an unabashed garden geek with her husband, or crafting gifts for loved ones with yarn and a pair of knitting needles. Hancock Street Preschool (HSP) is dedicated to excellence in early childhood education, providing a developmentally appropriate, play-based curriculum with meaningful real-world experiences. HSP promotes an environment which encourages creativity, curiosity and community, and embraces the role of life-long learner for children and adults. HSP is committed to a strong home-school partnership, honoring the diversity of our families and welcoming the uniqueness of each individual. No other span in a child's life holds so much wonder and joy and fantastic change as the preschool years. In joining a co-op, you have the unique experience of sharing your child's first steps out into the world. We believe that children thrive in an atmosphere of trust, where they are provided with support in a safe and gentle environment. Children succeed when they have a strong sense of self, so we recognize the importance of fostering a sense of competency and independence in all aspects of the child's being. At Hancock Street Preschool, our emphasis is on "Learning Through Play." Through play, many of the necessary skills for later life are developed. 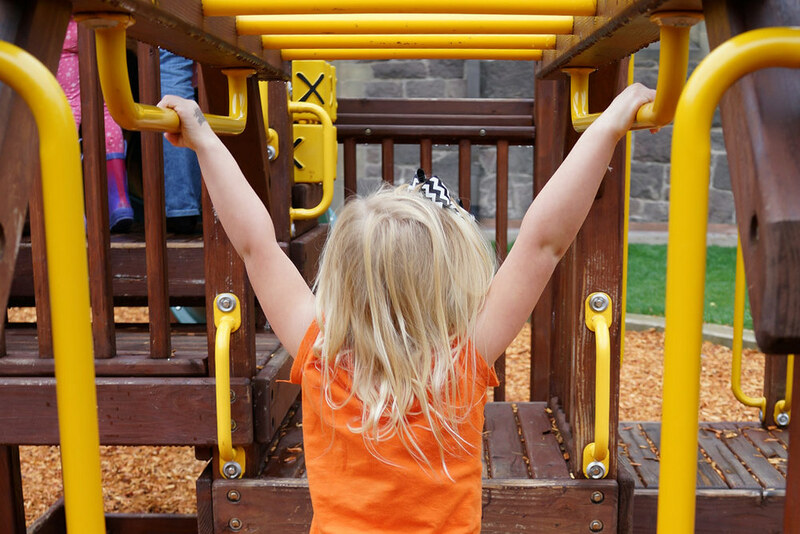 Learning through play comes about when the need for freedom and guidance is recognized. Our play-based curriculum supports the development of the whole child — socially, emotionally, physically, and intellectually; allowing for the recognition of each child's unique learning style, abilities, and developmental level. In an effort to meet the needs of a variety of children in our community, Hancock Street Preschool is accredited by the Oregon Department of Education to accept children with special needs. Anti-bias curriculum is an approach to early childhood education that sets forth principles and methodology in support of respecting and embracing differences and acting against bias and unfairness. Hancock Street Preschool believes that the best way to teach is by example. By employing earth-friendly practices within our school, we demonstrate to our children that sustainability is a way of life. We are proud to say that we have been named as an Eco-Healthy Child Care Provider by the Oregon Environmental Council, which means that we adhere to guidelines designed to reduce children’s exposure to toxics and other environmental health hazards. In addition to providing a safe environment for our students, families, and staff, we extend our sustainability efforts by composting organic materials, recycling items we are done with, and reusing items where possible. Household items that are ready for the recycle bins are first brought to our school for art projects, construction activities, and other exploratory experiences. Hancock Street Preschool is a co-op (or cooperative). A cooperative school is run by a parent community that helps in the classroom, is involved in decision-making and provides other support to ensure the school’s operations. We are a non-profit organization comprised of families who take an active interest in their children’s first educational experience. 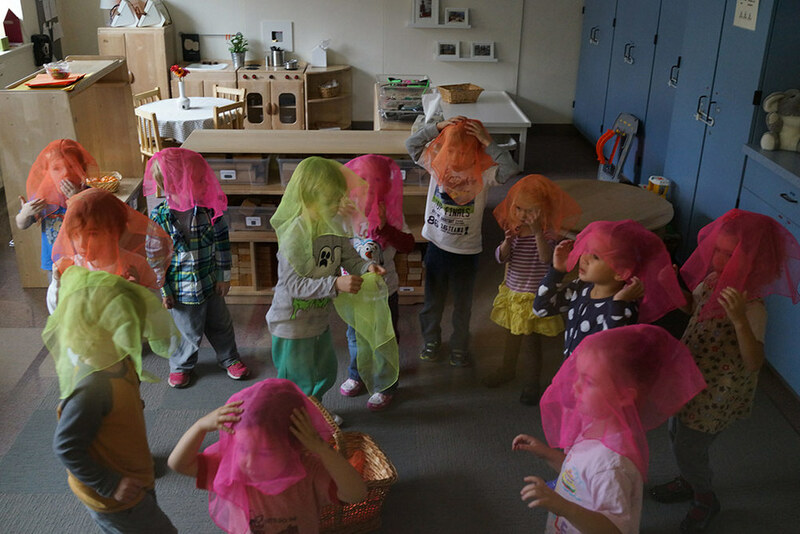 In a co-op preschool, the teachers are the only paid employee. At Hancock Street Preschool, our professional credentialed teachers provide intentional, relationship-based teaching and a learning environment which focuses on creativity, community and curiosity. You will have the chance to participate in your child’s educational experiences away from home. You will become part of a supportive community of families. You will get to know the other children in the class which makes it easier to understand and discuss your child’s preschool experiences and friendships. You will gain valuable parenting skills as you observe how a professional teacher and other parents deal with different scenarios. You will create lasting memories and friendships. Each family is required to teacher-help in their child's class. Family members help once every two or three weeks. On some days, you will be assigned to provide snack. There are three teacher helpers each day which enables us to maintain a nurturing environment and a low child to adult ratio. Parent education is an essential part of Hancock Street Preschool. We promote a strong home-school connection and believe that adults, as well as children, are life-long learners. The teachers hold regular ‘Parent Education’ nights. We discuss early childhood development and how parents can support their child’s growth at preschool and at home. Hancock Street Preschool also offers a beginning-of-year training for adults on their role in the classroom. There are approximately five evening meetings per year. We take a variety of field trips that enhance the children's experience in the classroom and expand their understanding of the world. Past trips have included a visit to a farm, to a grocery store, to a post office, to a state park, and a ride on a train. Parents are encouraged to attend these field trips if they are able. Fundraising enables us to keep tuition affordable for our families and to offer partial financial aid for those in need. All families participate in raising funds to support the school. The main fundraiser for the school is an annual Evergreen sale. Families are also required to participate in our scrip program, which is a dollar-for-dollar exchange using gift cards for many local businesses. Families buy gift cards from a number of participating merchants for groceries, fuel, clothing, toys, entertainment, electronics, home improvement, and household services. When the gift cards are purchased, the retailers donate a percentage of the sale to our preschool. The financial goal for fundraising is set each year by the Board of Directors. “Thank you for the food we eat. Thank you for our work and play.